AUTOMATON – coming January 30, 2016! 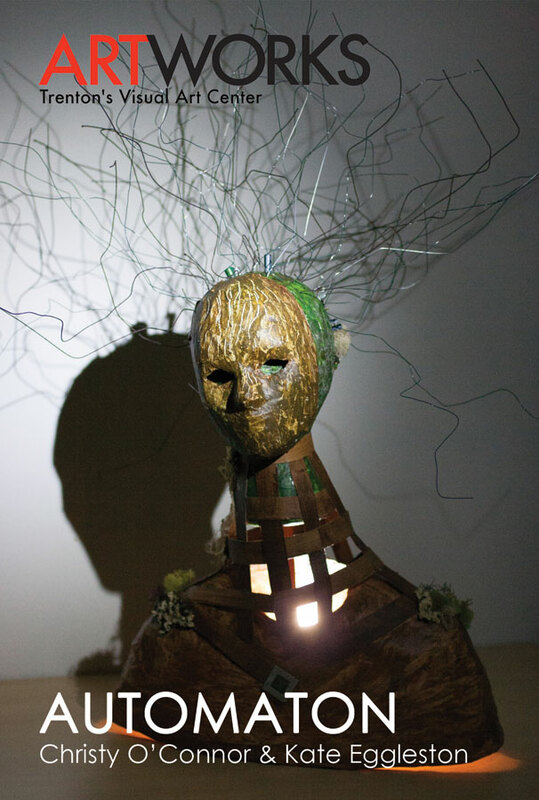 AUTOMATON is a collaborative exhibition that Christy O’Connor and I have been working on for months. We are so excited to share this work! 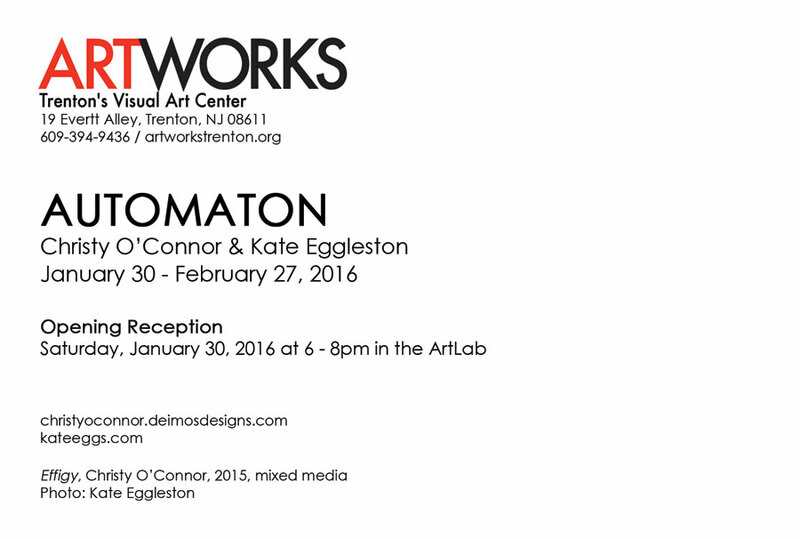 The opening reception is Saturday, January 30, 2016 at 6-8pm in the ArtLab at Artworks Trenton. SAVE THE DATE! Click the images below to see larger versions. Automata were created in the idealized image of humans, but some rejected this facade. They began exposing their wires and removing their guise to appear less human and more technologically primitive. A sub sect of automata continued these robotic body modifications to extremes, at times so severe that they became fragile and began to lose function and purpose. At the risk of being destroyed by those who consider them to be damaged and useless, they hid themselves away. To continue existing on their own terms, they became an amalgamated community, making modifications and repairs on one another; taking care of one another has become their new objective.